This was a little risky shot with me trying to capture this shot right from my car on a dark road (with no shoulder) in between the woods after a heavy rain. 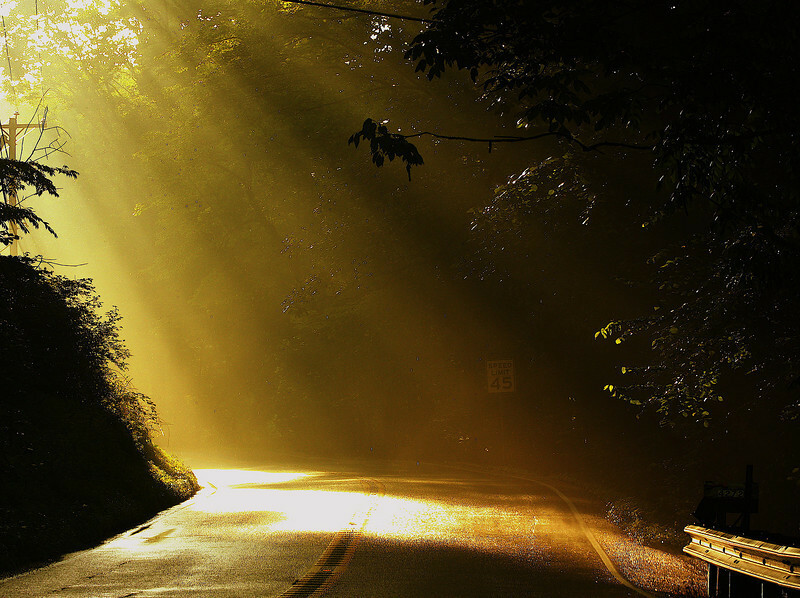 I was kind of lost on this road but the sun-rays in that darkness was a nice relief. This is totally breathtaking! WOW! !